In a story possibly as old as the United States itself, multi-instrumentalist and singer Kelsey Lu wants to cut all ties and flee her old life to make it in California. Describing the track's concept herself as "A Continuation of the Evolution of Self", she imbues the idea of leaving home and heading somewhere new with a gorgeous filmic melodrama - her vocals are aided by dreamy visuals, and restrained, pretty production from Rodaidh McDonald & Skrillex, who’s clearly been channelling some feelings from his old emo days. Another day, another wonderfully timely reissue, another big ol’ middle finger up to the Discogs sharks - on this occassion, a finger stuck up by iconic dub & reggae imprint Wackies. The original label have seen fit to repress Annette Brissett’s 1983 LP Love Power, an album lousy with slinky, low-slung dubbed out soul numbers, and even a surprise disco rattler - “Drums” - as the final track. Feel the power of love! Tireless drone summoner Jefre Cantu-Ledesma (host of Raga Vibrations) and experimental composer Felicia Atkinson have created more magic with “Indefatigable Purple”, the lead track off their second collaborative project “Limpid As The Solitudes”. Like the album’s hazy, richly evocative artwork, the track reveals itself more fully over time - delicate instrumentation and indeterminate voices drift in and out of focus through a cloud of humming white noise, an atmosphere that: “requires you to immerse yourself as if in a hot spring”. The LP is out now on Shelter Press, go run a bath. Twisted semi-pop lifted from the debut LP by Brussels-based artist Celine Gillain, with dead pan vocals drifting over rubbery percussion. The end result is unsettling yet catchy, and will be released in full next month on DRAMA, a sub-label of Zaltan’s Antinote. Gillain’s first single, ‘I Can’t Connect’, became a firm favourite amongst NTS hosts this year, with repeat plays by Jack Rollo as the Monday guest on Charlie’s Do!! You!!! Show. For more, be sure to check out her recent guest appearance on Body Motion. The opening track from Sega Bodega’s recent EP self*care teleports you straight into a sci-fi rodeo, complete with harpsichord FM synths, an infectious vocoder melody and a healthy dose of 808s. The EP is a strong contender for best album artwork of the year, featuring a heavily re-touched photograph of the producer making out with himself, courtesy of Hannah Diamond. 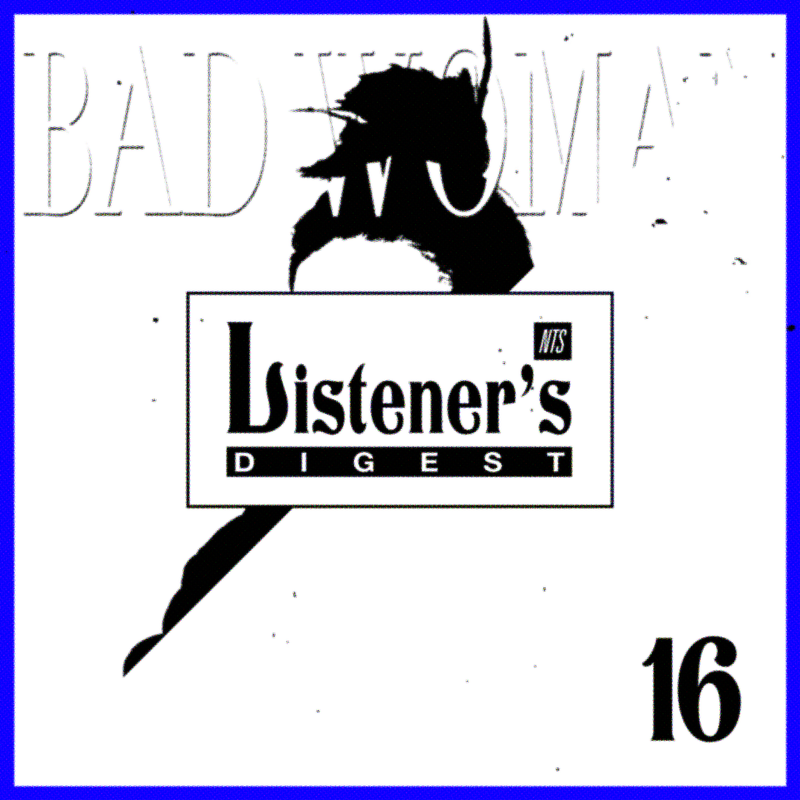 Cowgirl is accompanied by a video conceptualised by Sega's sometime collaborator Bea1991. No-nonsense UK drill - check the infectious new single from Camden artist Ambush. This builds on from his recent success with ‘Jumpy’, which enjoyed a co-sign from Skepta on the remix. Both instrumentals were composed by prolific ‘type beat’ producer Mubz Beats, who has also featured on French trap artist Aladin 135’s 2016 single, ‘Bonnie & Clyde’. 'Man Can’t' has enjoyed airplay from both Theo Motive and Lily Mercer on her debut show, a new and welcome addition to the NTS roster.